and hes still nuts about his work. With our Competitive Prices, We appeal to a broad span of people. We are a Unisex Salon using the best in AFFINAGE/MATRIX styling Products.we will even repair that disasterous colour you done at home leaving in soft and shining again...with our incredible AFFINAGE hair colour Non Bleach removal system .Come in and ask , We will be happy to help. Welcome Disabled customers too , as were wheelchair friendly Salon . it is not necessary to Telephone us first. WE WORK AROUND YOU - NOT YOU AROUND US. The deep action regeneration technology with colour protection leaves dry, stressed and coarse hair supple and combable. Styling and finish products should be chosen independently in accordance with styling requirements. 1. 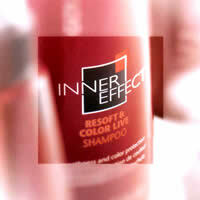 ReSoft & colour live shampoo. 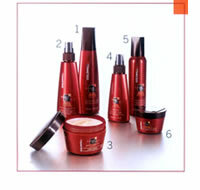 Creamy, mild shampoo for more suppleness. The gentle formula protects the hair colour for optimum radiance. and seals the colour for optimum radiance. Rich treatment for long lasting, silky smooth hair with vibrant colour. Conditioning cream for individual styling with a soft, natural feel. Protects the hair colour. 6. ReSoft & Colour Live Shine Shaper Light modelling cream for shiny accents and loose bundling provides moisture and intensifies the colour brilliance. We believe in individuality. We believe in the freedom of style, self-expression, and the right to create without limits. Our California heritage drives our passion for haircare science, the latest technology and natural ingredients.